I love leeks. They’re one of my favorite vegetables for stir fries, salads, soups and more. They have a wonderful subtle flavor and I like the stiff texture. Here’s how you can store leeks so that you can enjoy them year-around. The leek is a cousin of the onion, originally hailing from Central Asia. They resemble spring onions or scallions except they are bigger in size. When buying from a supermarket or harvesting in your own garden, pick out leeks that are firm and smaller than 2.5 inches in diameter. They should also have straight, lush dark green leaves. Avoid buying leaves with yellowing or wilting tops. Leeks are in season in the fall and spring in the United States, between September and April. Depending on your preservation techniques, leeks can last between a few days to up to a year. The humble leek has a very notable history. Since ancient times, the Egyptians and later the Romans consumed this vegetable. Legend has it that the Roman emperor Nero loved eating this vegetable because he believed it would improve the quality of his voice. Since Nero has been dead a long time, this claim cannot be verified. However, it is true that leek is a superfood and is not just in high in fiber but also flavonoids, folate and polyphenols, which reduce the risk of blood vessel damage and heart conditions. The leek was also introduced in Europe during the middle ages and is Wales’ national vegetable, depicted on the country’s national emblem. In fact, Welshmen pass down tales that the leek saved Wales during the battle of Heathfield in 633 AD. Legend has it that a Celtic monk, David, suggested the Welsh army wear leeks on their helmets so that they could be differentiated against the Saxons. The Welsh army was victorious and the leek became a good luck charm. The monk was named as St.David or Dewi Sant. To this day, Welshmen celebrate St. David’s Day by wearing leeks on their clothes. The cultivation of this vegetable spread to North America during the arrival of the first settlers. With such a rich history, it is a shame to let a distinguished vegetable, like the leek, go to waste. Here are a few options on how to preserve leaks. But first, you need to know how to properly clean them. Since leeks are embedded deep into the earth, they harbor a lot of soil. Before cooking and sometimes even storing leeks, you need to ensure they are cleaned properly. To do that, cut off the root and the dark green leaves. Make a solution of one part vinegar and three part water and immerse the greens in it. The loose dirt will fall off. You can also use a soft veggie brush to scrub off some of the more stubborn dirt particles. Conversely, you can cut the leek lengthwise in half to help you get at the caked in dirt. Separate the layers under cold water and clean them out. Put the washed leeks in a colander to drain them. You can slice the vegetable and cook it up or store it. Note: The dark green leaves are typically thrown away but some people cook them up in broth to cut down on waste. Depending on how fresh the leek is, the vegetable can last anywhere from five days to two weeks. Leeks can be refrigerated, frozen, canned or pickled for storage. Leeks have the best taste when they are harvested and immediately cooked and consumed. When left open in the refrigerator, leeks exude a particular aroma that can permeate your fridge and be absorbed by the other stuff in your refrigerator. If you intend to you use the leeks within a couple of days, lightly wrap them up in a plastic bag, which will retain moisture and contain the odor. Do not wash, trim or cut leeks before storing. Place them in the crisper/hydrator drawer of your fridge. However, if you expect to use the leeks several days later, a good idea is to lightly wrap them up in a damp towel and secure a rubber band around the bundle. Put it inside a perforated plastic bag, which will help it contain moisture. Then place the vegetables in the crisper drawer of your fridge. You can then use the leeks for about 10 days. Cooked leeks are highly perishable and do not have an extended shelf life. Even when placed in the refrigerator, cooked leeks can only remain fresh up to one or two days. Smaller leeks tend to last longer than larger leeks. Do not wash or trim the dark leaves off the leeks before putting them in a refrigerator. This invites rot. Leeks are best stored at 32 degrees Fahrenheit and 95-100 humidity. At warmer temperature, leeks lose their green color, turn yellow and start to decay. Make sure your fridge is high in humidity to prevent wilting. When you are ready to consume the leek, cut off the root and the green leaves. Then slice the leek in half, immerse it in a vinegary solution and wash out the dirt embedded between the layers. It is then safe to cook and consume. If you have a lot of leeks that can’t be stored in a refrigerator, you can freeze them. First, you need to cut off the dark green leaves, the root and slice the leek in half. Next, thoroughly wash the leeks and then cut them into half-moon shaped slices. A lot of people place the slices in zip-lock bags and let the vegetables freeze. However, the best way is to first boil some water, put a pinch of salt in it and blanch the leeks for 30 seconds to a minute. Blanching before freezing ensures the leeks do not lose their green color. There are two ways you can freeze this vegetable. The easier method involves putting the blanched leeks into a zip-lock bag and freezing them. The second method requires a bit of patience but the results are better. Place the leak slices on a baking tray lined with a waxed paper so that they do not stick to the tray. Make sure the leeks are placed in a single layer and are not touching each other. Place them in the freezer. Once frozen, take the tray out and slide the just-frozen pieces into a zip-lock plastic bag. Freezing leeks in this way ensures they do not clump together and you can take out a handful anytime you want. This method takes time and a bigger freeze space for the tray. You can store these leeks in the freezer for about 3 months to a year. However, frozen leeks usually lose some of their texture and taste. A solar food dryer comprises a trays which sits behind a tilted polycarbonate sheeting or glass window. Below the trays is a black-painted metal shelf, which absorbs heat. You can wash the leeks, slice them thinly and place it on the tray in the solar food dryer in a single layer. The food dryer will use the energy of the sun to dehydrate the leeks. The cool air will enter a vent at the bottom, will be warmed by the sun’s rays through the glass or polycarbonate sheeting and the warm air will escape outside the top vent, taking moisture with it. Good polycarbonate screens can allow as much as 80% of sun exposure and the temperature can rise to cooking within a few minutes and can reach 100 to 150 degrees. In a few hours, the leeks will be dehydrated and you can use them throughout the winter. Rather than refrigerating leeks, you can store them in water, if you intend to consume them within a day or two. Take a large jar and place cold water in it. Then put the leaks into the water. The leeks will stay fresh for two days. Just ensure the temperature in your kitchen is not too hot or humid, otherwise the leeks may wilt. If it is, place them in another cool, dry, airy space. Take a pot, large enough to hold all of the leeks. Fill it with water, add a pinch of salt and bring it to boil. Also prepare a large bowl of ice water, large enough for the leeks. Then take the leeks and cut off most of the dark green leaves, leaving one-fourth inch of the greens on each stalks. Place the leeks in the boiling water and blanch them for 30 seconds. Then quickly remove them and put them in the ice water to stop them from cooking further. Drain the vegetables on the colander and once completely dry, put them inside a canning jar. Take a saucepan and heat a mixture of vinegar, salt, sugar, peppercorn, fennel seeds, coriander seeds, red chili flakes, thyme and water. Once the water is boiled and the sugar is completely dissolved, take the mixture off the heat and pour it immediately on the leeks in the canning jars. Close the lids tightly and allow the mixture to cool completely. Then store the mixtures inside the refrigerator. You can use these leeks for the next two or three months. Keep your leeks heavily mulched in the garden until winter comes and the ground hardens. Then carefully dig up the vegetables, making sure they are intact. Take a deep bucket, fill it soil and then place the leeks upright inside the earth. The optimum temperature in your root cellar should be 32 degree Fahrenheit. These stored leeks can last three to four months. Some of the best varieties of leek to preserve in root cellars are Arena leeks, Giant Musselburgh leeks, Nebraska leeks, Elephant leeks and Zermatt leeks. Wash your leeks thoroughly using the method given above and then slice the vegetable into half moon shapes. Then take some olive oil and cook the sliced leeks in it. Once done, place them in a container and freeze. Alternatively, you can also make a leek puree. Blanch the leaves and blend the leaves, leeks and bulb in a food processor. Remember to add a good amount of extra-virgin olive oil so that it purees smoothly. Once done, take out ice cube trays and fill them with the leek oil. Then freeze the oil before popping out each cube and placing them into zip-lock bags or container. This is a great idea for when you want to flavor your stew or soups with leek. This way, you can just take out a couple of cubes and let them melt in your food during the cooking process. 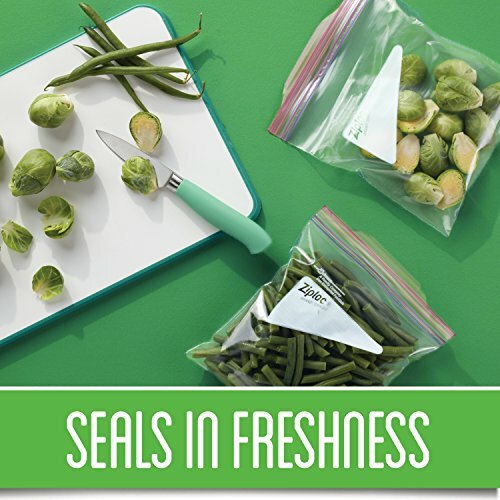 You can also simply pour the puree into freezer bags or container, without first putting it into ice cube trays. However, you will then have to wait for it to thaw enough to hack out chunks, when you need to cook it in food. Leeks provide a flavorful bite to your food. With their unique combination of sulfur-containing nutrients and flavonoids, leeks should be included in your diet on a regular basis. Research recommends having at least a half cup portion of leeks daily and including at least one cup of chop leeks in your recipes.